In general, your hair growth is just like growth of plants in a garden. How well they grow depends completely on underground nourishment. When the growth cycle goes astray, it contributes to the causes of hair loss which has no extent to less or more. Certain aspects affecting the cycle include medications, illness, infection or use of chemicals that are likely to stop the healthy formation of hair. 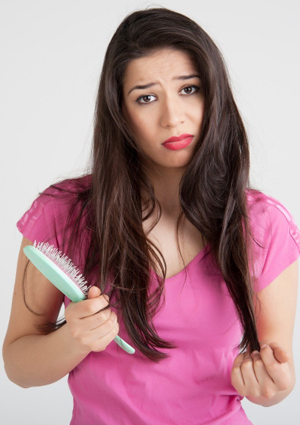 Hair loss being aesthetically unappealing can become highly embarrassing for people lowering their self-esteem resulting in needless stress and sometimes depression in extreme cases. Bio-Gen Therapy is a powerful tool to reduce hair loss and to increase the thickness of the hair. It also stimulates dormant hair roots to start producing hair. The schedule of this therapy is quite simple and convenient for the patient. This therapy works on delivering the essential nutrients to the hair roots by micro-injections over scalp. The whole procedure is virtually pain free and completes in 30 minutes only. You can contact best hair transplant surgeon in Delhi Dr. Gaurav Garg for hair loss and baldness treatment.